All BENETEAU’s motorboat ranges and models, since the start of the 1970s. makes sailing a fishing boat reminiscent of cruising. safe and economical boat, as easy to use as it is to maintain. At the end of the 1980s, working with Philippe Briand, a new architect at the time, BENETEAU begins the renewal of its dinghies and open boats. point in the range’s history. André Bénéteau designs a series of small outboard fishing boats. Versatile, they are also very economical. André Bénéteau designs a classic yet contemporary range. The sea is your playground. Seaworthy, safe and powerful, the Barracuda is a sport fisher full of character. The four outboarders of this range have a cleverly designed deck plan. The quantity and quality of their fishing equipment, and the comfort they offer on board, make them perfect for the demanding owner. Most definitely a winning range ! A boat that brings people together – reassuring and quintessential. From the cockpit to the wheelhouse, the living space on board an Antares is always surprising. The motor cruiser range has won recognition for the shape of its hulls that withstand the test of time and make safe passage through all seas. Streamlined and sporty, the Gran Turismo offers great sensations. Open to the sea and yet well-protected, the range’s five sport cruisers boast technological features uniting the joy of cruising and exceptional performance. The Gran Turismo looks great, has quality fittings and attractive trims. In a nutshell she is elegant and positively trendy ! The range that reinvents the Trawler concept. A boat with a cruising pedigree that has left tradition behind to win in speed, autonomy and intelligent design. Very seaworthy, extremely safe and comfortable, the four BENETEAU Swift Trawlers are cut out for long ocean adventures. 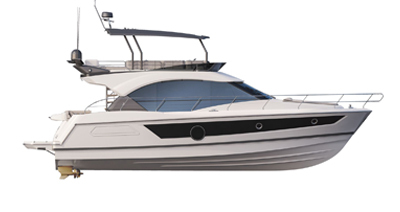 Our search for excellence resulted in BENETEAU’s premium range. Inspired by the Monte Carlo Yacht, the five motor cruisers are characterized by their magnificent hull, timeless elegance, detailed crafting and top quality finishes. Monte Carlo now stands apart as a hallmark of style, power and luxury.